In case you missed it, we brought back notes from session Top Mobile Apps & Digital Tools for the PR and Corporate Communication Executives on the GO! 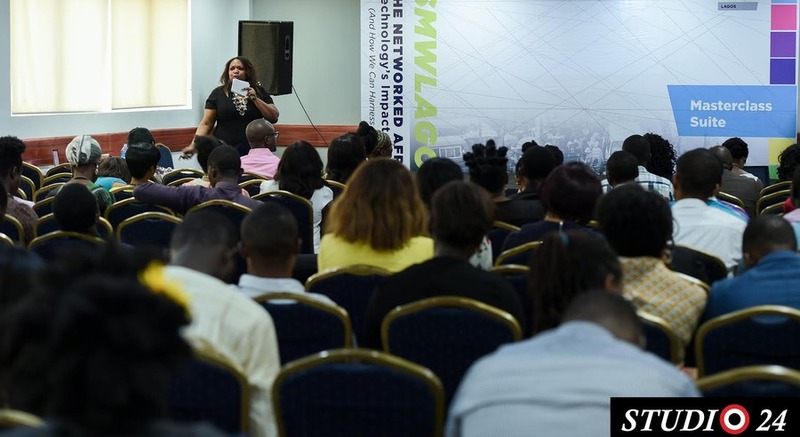 The masterclass was lead by global PR pro and SMW Lagos board member Claudine Moore. She gave us six tools every communication executive should be using. Yesware is a Gmail add-on that monitors open rates, views and clicks. You can also schedule emails. Buffer is a tool every smart professional should use. Moore says manually entering social media posts is ‘so 2011.’ Today, she says, posts need to be automated and analyzed. It’s also a mobile app, so you can schedule posts on the go. BuzzStream scans the web to find contact information for influencers that matter to you. Znews Africa provides the latest news from the continent in English and French. It aggregates stories from more than 150 sources. The app is only on Android and will be available on iOS in a few months. Moore is a board member of Znews Africa. Twilert is described as a Google alert for Twitter. You can receive real-time alerts for searches, hashtags and mentions. HARO, or Help A Reporter Out, connects journalists with experts. As a PR professional you’ll receive source requests. We’d love to know what PR tools you use. What would you add to the list?